Over 30 contributions ranging from critical articles to interviews; a catalog of 30 works exploring the themes of remix in an extended way; the special mentions of the 2009-2010 contest; a new experience of reading integrating the digital and paper dimentions trough the use of Augmented Reality and tagging; an open source tool for creating ubiquitous, cross-media publications, by FakePress. “Right now, the behaviors and activities commemorated in this book are bizarre. Very. They are so peculiar that they are inherently difficult to describe, because they come from the outer reaches of an emergent network-culture. REFF. An example of an artistic, cultural and political act. A truly Augmented Reality, a multi-strata object that entices to be discovered, read and used with more “sense” up to the performative one. A new prototype of publication, beyond the e-book. 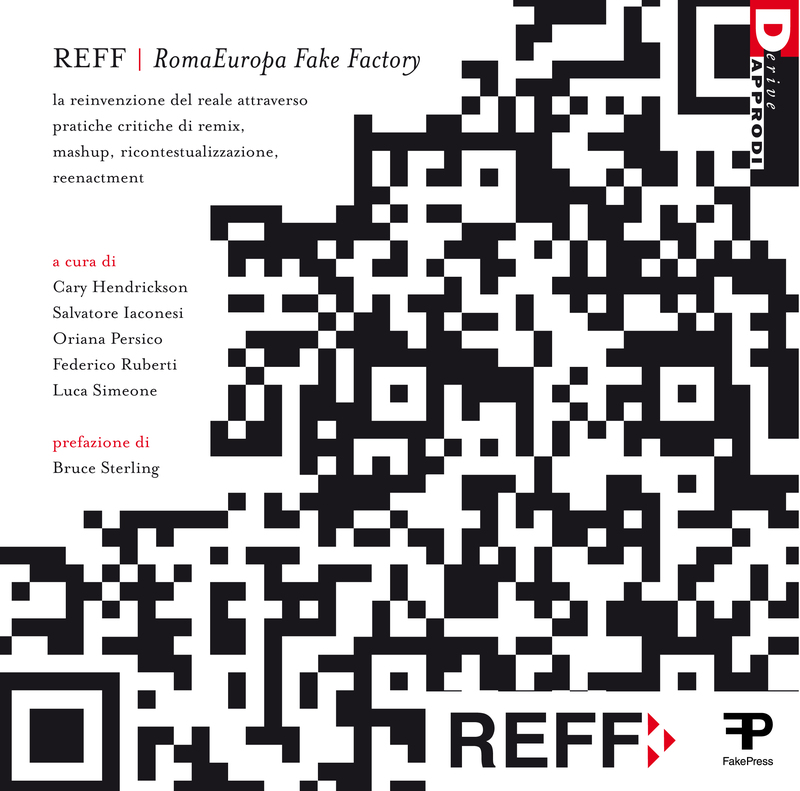 RomaEuropaFakeFactory book is licensed under Creative Commons Attribution-NonCommercial ShareAlike 2.5 Italy.